Posted February 2nd, 2017 by Media Heroes. Would you like to save money on transport costs, while getting fit and enjoying yourself? Why not consider cycling? Cycling is a sport that engages more Australians than perhaps any other. Increasingly, Australians are hanging up the car keys and donning a bike helmet instead. There are many reasons for this, including traffic, a reduced carbon footprint and even pure enjoyment. However, one of the most significant reasons for the prominence of cycling is health. Cycling is a fantastic form of exercise that has many advantages over its alternatives. 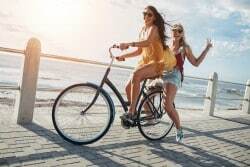 The health benefits of cycling are too numerous to list, but there are 7 that stand out in particular. Most people would know that cycling improves your cardiovascular fitness to a remarkable extent. Cycling is an endurance sport that encourages ongoing cardiovascular development. Basically, cardiovascular fitness is your body’s ability to supply your working muscles with oxygen. The more oxygen your body can supply to your working muscles over long periods of exercise, the better your cardio will be. If you take up cycling, you will find yourself able to work harder for longer, without becoming tired. Cycling stimulates a lot of muscle activity from your legs upwards. As you would expect, this means that cycling will stimulate the growth of several prominent muscles in your body. That is not its only benefit, however. The repetitive movement of your body, while cycling, will improve your flexibility. This means that you will have stronger legs, and a reduced chance of ligament, muscle or tendon damage in the future. Your posture has a direct bearing on the health and condition of your spine. Poor posture is one of the most prevalent health issues in modern society and sitting down for long periods worsens it. Fortunately, cycling is a great way to improve your posture and the health of your back. The configuration of a bike encourages good posture, which strengthens your back. This can have great benefits in both the short and long term. One of the beauties of cycling is that you can take it at your own pace. This means that cycling needn’t always be hard exercise. In fact, cycling can be quite remedial at times and this makes it great for improving joint mobility. The gentle and rhythmic motion of cycling promotes healthy movement in your joints and can help you greatly with aches and pains. Frequent cycling can have the same effect on your bones as it does on your muscles. The even and gentle pressure of cycling will encourage healthy bones and it is a great way to improve the strength of your bones. With a balanced diet, frequent cycling can produce tangible improvements in the health of your bones. In the same way that cycling improves cardiovascular fitness, it also aids in weight loss. You can adapt the nature of your cycling workout to suit your fitness level, which means that it is a great weight loss tool. Simply choose a nice route through your suburb and aim to improve the length and duration of your ride. If you keep it up, you will not have to wait long to see improvements in your fitness, which will translate to healthy weight loss in most cases. Cycling is great for not only your body, but also your mind. Exercise is known to improve moods and alleviate stress. This is linked to the release of endorphins that occurs when you exercise. Even a short ride after a stressful day can have a remarkable effect on your mood and mental health. 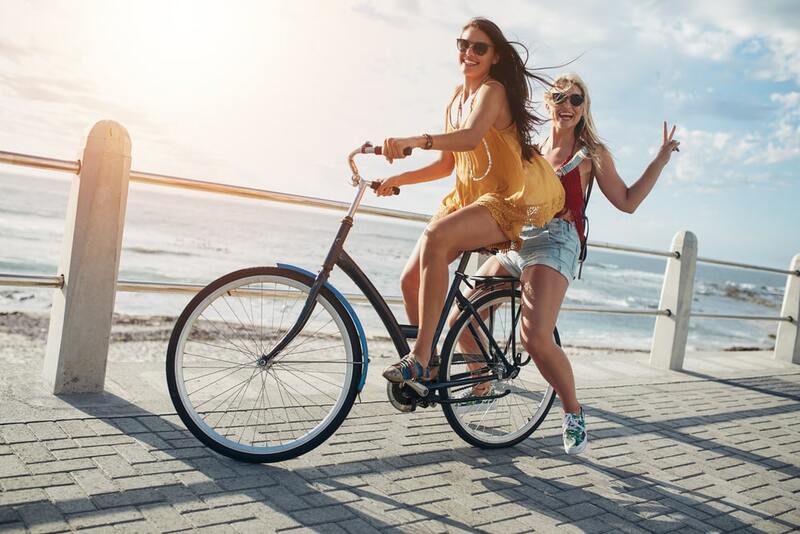 To learn more about the health benefits of cycling and all your cycling needs in Brisbane, get in touch with Hoffy Cycles today on (07) 3269 1213 or contact us online.